Looking for the perfect idea for Shark Week? How about renting a mechanical shark. Try riding a shark out of water that's just like a mechanical bull but way more fun. 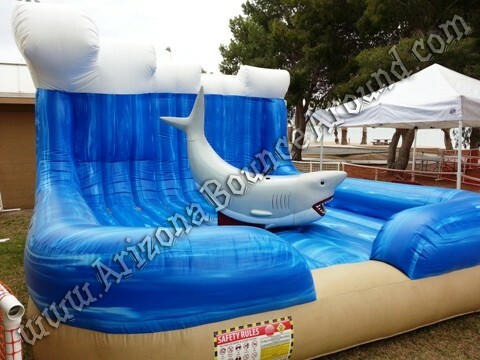 This a a great party idea for summer parties in Colorado and our mechanical shark features a soft head and soft tail that flaps around as you ride it perfect for kids or adults. 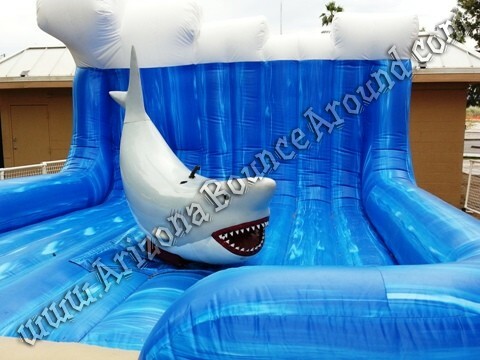 Add a Inflatable Shark slip and slide for the perfect shark themed party or event. Our mechanical shark comes complete with an operator and big LED timer so you can see just how long you can ride this fish out of water. 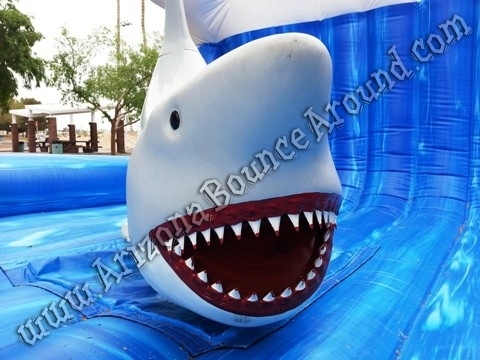 Our mechanical shark is a perfect attraction for Shark Week or beach themed parties and events in Colorado. 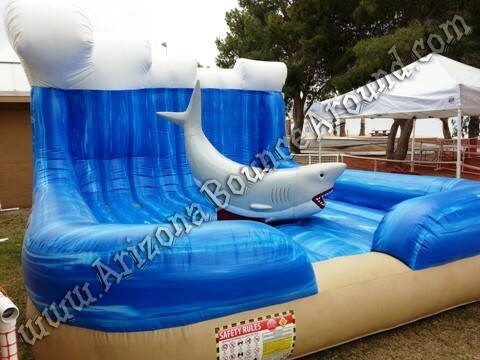 Our mechanical shark features a beach themed inflatable mattress, soft head and a soft tail for safety. Our mechanical shark comes complete with an operator and big LED time clock for shark riding competitions.